The use of the Internet is spreading rapidly. People use the internet not only to find information but also to purchase goods and services online. With online activity, there comes the risk of eCommerce fraud and cybercriminals are becoming more and more sophisticated in their hacking techniques. Due to this threat, it is important to secure networks and also data. Merchants need to have the right capability to detect fraud in order to protect their customers. Any breach can seriously dent the reputation of your online business. Customers, in turn, need to take precautionary measures. You should keep your computers and mobile devices up to date. For this, use the latest software and operating system. Use the best defenses against virus, malware and online threats. Always use a strong password. A strong password is typically 8-12 characters in length and is a combination of uppercase and lowercase letters, numbers, and special characters. You should look out for online frauds like phishing. Phishing is the fraudulent use of emails and websites to trick users into giving away personal information. Do not click on links or pop-ups which you are not familiar with. Keep your personal information to yourself. Lock your privacy settings and avoid posting information like birthdays, addresses and children’s school on public media. Remember, hackers use social media profiles to figure out passwords and security questions. Your internet connection should be secure. You should protect your home networks with a password - change the manufacturer’s default password. Always be cautious about the information you send while using public networks. Be careful while shopping online. Always use websites that use encryption. Check the website address for ‘https’ and a tiny lock padlock before the site address. E-commerce businesses also need to protect themselves against fraud. If you are an online retailer, you should keep your online business PCI compliant and safe. PCI compliance is a set of requirements designed to ensure that all online businesses maintain a secure environment. PCI is designed to protect customer data. PCI applies to all organizations and merchants irrespective of the size or number of transactions. Noncompliance could result in a fine being levied. There are many eCommerce platforms to choose from. The eCommerce platform you choose should protect you against fraud. Hence, always check the platform security features along with costs and transaction rates. A platform with best rates may not be the safest payment processing platform. 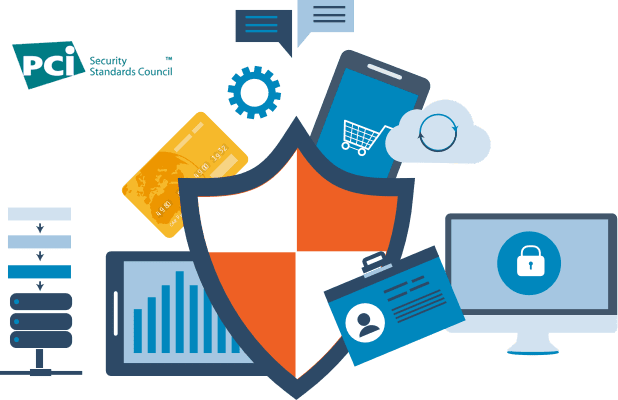 Once you have chosen the right payment processing platform and you are in compliance with PCI requirements the next step is to ensure your customer information is safe and secure. This includes checking all your URLs are protected via ‘https’ during the checkout process. Regularly update your web server controls and databases passwords. If required, hire a security auditor to check for any weakness in your website. Setup system alerts to screen suspicious activity to automatically alert you when it occurs. In this way, you can limit the vulnerabilities in your online business and keep it safe from hackers, cyber criminals, and online fraud.